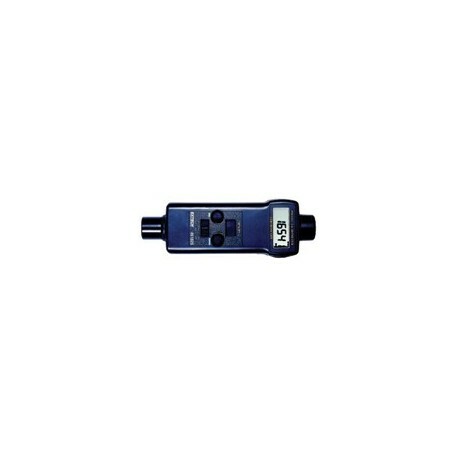 The COMBINATION PHOTO TACHOMETER-STROBOSCOPE is a battery operated meter that performs both tachometer RPM measurement and stroboscopic speed and motion analysis. This microprocessor based unit has a quartz crystal oscillator to maintain high accuracy. The stroboscope features coarse and fine flash rate adjustments in 3 ranges to allow maximum flexibility and precision. The large 0.4" 5 digit digital LCD displays characters reverse direction depending on the measurement mode selected. The tachometer memory stores last, maximum, and minimum readings.